I like coconut coriander chutney in all the coconut chutney I make, I simply love the flavors of coriander leaves in coconut chutney. 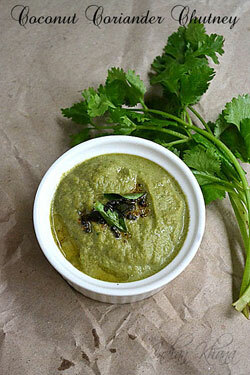 Simple and flavorful coconut cilantro chutney goes well with idli, dosa or even vada, bonda. Like most of the recipe this simple chutney too has variations you can add mint leaves for added color and taste, adding a pinch of jaggery balance the flavors. 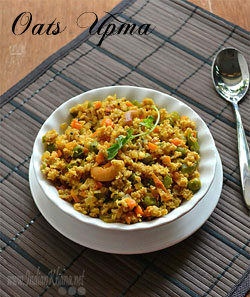 Add garlic if you love your garlic and if you don't like skip the tamarind so you see there are plenty of options here. Onion tomato chutney is one of easy and quick chutney recipe with very less ingredients and it taste fabulous. There was a time when I use to make this lot or say 90% of time it will be onion tomato chutney for me and I use to do plenty of variations but this is the basic recipe and it works just perfect and guess what there's no coconut too. 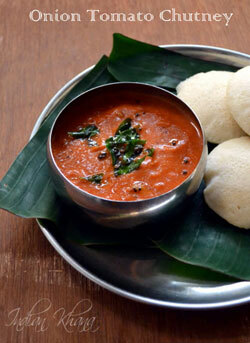 Spicy, tangy and sweet this chutney is perfect accompliment with idli, dosa. Normally this chutney doesn't really require any tempering, it taste by itself very good so skip it if you wish too. 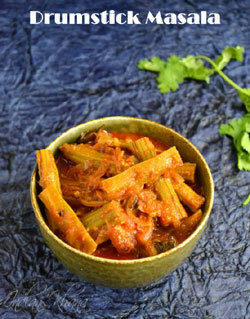 I love Andhra cuisine as it's delicious and spicy just the way I like, I have always been surrounded with people whom belongs to Andhra so it's goes hand in hand for me to taste some very good and authentic Andhra food and this drumstick masala or mulakkada masala(kura) recipe is from Andhra. My sister does this curry so well that it's always gets finished in no time, simple combination of ingredients makes this curry unbeatable so it's important to use good quality of chilli powder to make it spicy and to get nice red color, I used byadgi chilli powder. Moong Dal Pakoda is one of the popular pakoda in Northern part, we can also call this moong dal vada or bada as it's made of dal and not besan (chickpeas flour). 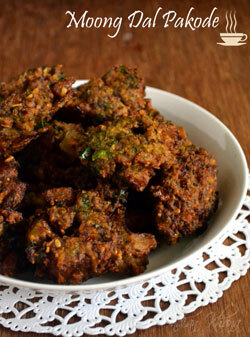 Split green gram or chilka moong dal with onion and few more basic ingredients makes this delicious vadas. Moong dal skin gives this vada/pakdoa crunchy outer layer, just how a pakoda should be. It's also consume less time compare to other dal base vada or pakoda as soaking time is just 1 hour or even less for this pakores. I make more of egg burji which I never happen to post than egg curry simply cause it's quick, easy to make burji and more over I like DH version of egg and potato curry he makes it so good that nothing can beat it I simply love that curry and yes I want to post that for years now but then it's just doesn't happens. Coming back to this egg curry it's a Punjabi version loaded with spices, this curry is on spicy side and you may feel lot of masala so if you don't eat spicy food just adjust the spices accordingly but don't give a miss to this curry it taste delicious. Lauki (bottle gourd) bhajiya is one of the popular pakoda in our home, since my dad don't eat potato so bottle gourd fritters gets featured a lot. As a kid I was not a very big fan of dudhi bhajiya we would remove the bottle gourd/dudhi pieces from pakoda and eat the only the outer skin so my mom has to always make potato pakodas for us. It's strange that most of the things we use to dislike a kid start to be fond of it in our life later I have numerous things like that in my list and this lauki pakoda is one such item. Now I don't remove the bottle gourd piece any more from the pakoda and in fact I like to eat this one. 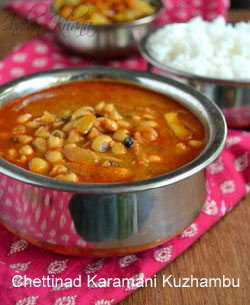 Dal is staple food in our life I make dal almost everyday so I keep trying different variety and method of dal mostly to keep myself entertain as I get bored of routine very fast. 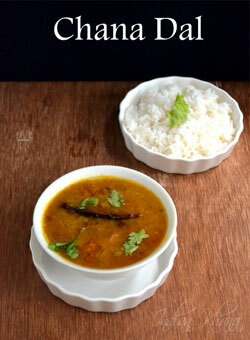 I have already blogged hara moong dal tadka recipe and chilka mung dal fry recipe too and this dal is similar to chilka moong dal fry but then this is a Sindhi recipe of mung dal, this dal has very simple flavor of cumin, garlic and it's also very light and mild to eat, for a spicy and little on heavy side of dal check the hara mung dal recipe. Beetroot halwa is one of the delicious halwa, if you follow my blog you would know my love for beets I have quite a few beetroot recipes already blogged but beetroot halwa was missing for long time I wanted to post this but somehow it was not happening until this time when I made it I decide to take pictures. Today special halwa is to celebrate 5 years of blogging of Indian Khana and trust me it's just like yesterday it all started. Also this happens to be 450th post of this blog. I prefer milkshake over juice if I am making it at home cause it's more filling, easy and quick. Juices are also easy and quick but then straining and cleaning part takes little time. We get strawberry in Singapore around the year to relish. This is one of my breakfast milkshake easy, quick and hassle free. Oats add good volume to the milkshake to make it filling, I do the same with apple, banana and few other fruits.